The first post was on Contrast & Contradictions, so this week I am turning to Aha Moments. These are the books my students and I will use as we explore this concept a little further. 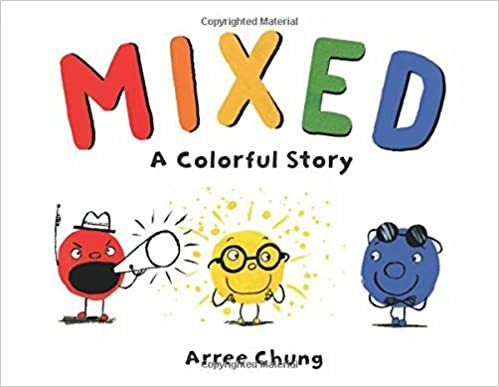 Fantastic Aha Moment in Mixed – A Colorful Story by Arree Chung as the community realizes that it is more fun to be mixed than separated. 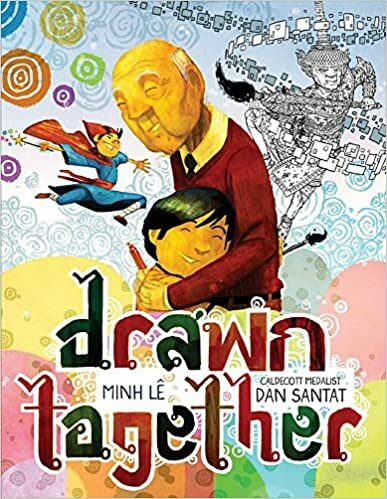 The little boy realizes that he is more alike with his grandfather than not in amazing Drawn Together by Minh Le and Dan Santat. 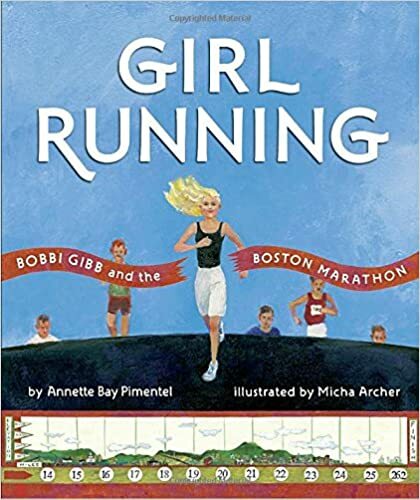 Girl Running by Annette Bay Pimentel and Micha Archer. Bobbi Gibb realizes that she is good enough to run the marathon. 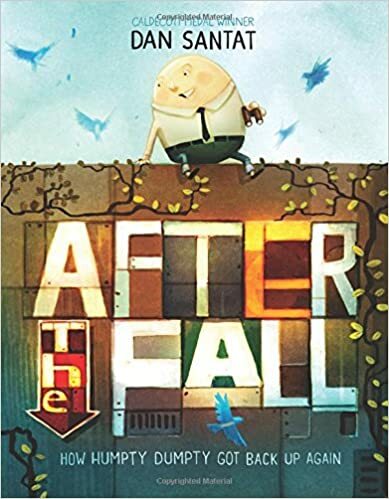 Humpty Dumpty has to overcome his own fears, but how can he? 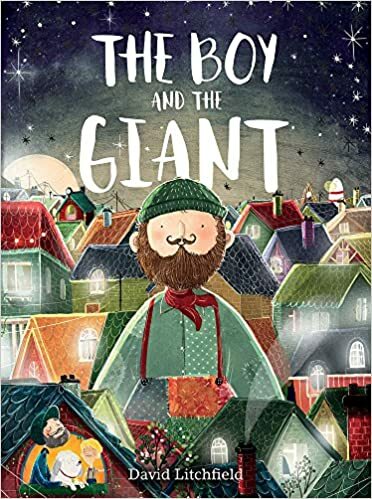 Billy realizes that instead of being scared of the giant, he needs to be how he would like others to treat him. 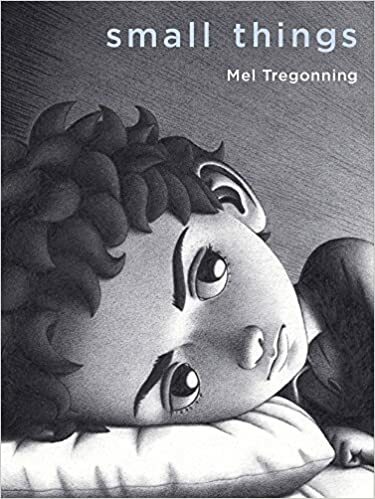 In this wordless picture book, we see the aha moment rather than read it when a boy has to figure out how to handle his anxiety. 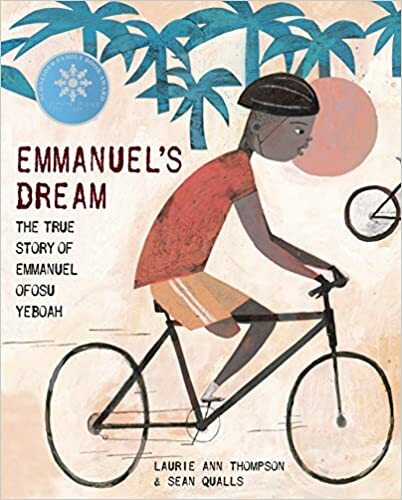 The aha moment is mixed in with words of the wiser from Emmanuel’s mother and is embedded into the story. This is a good book to use when it may not be as obvious. 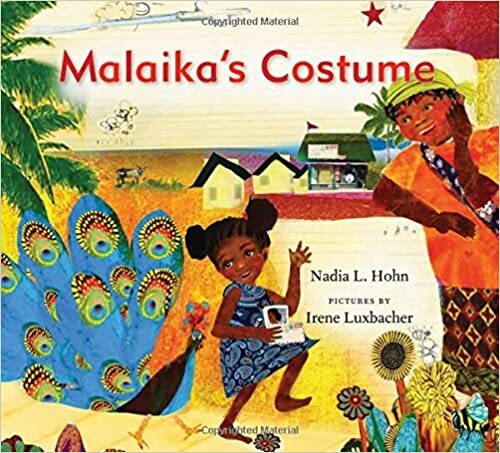 Malaika has to figure out how to navigate without the money her mom promised she would send to get her a costume for Carnival. 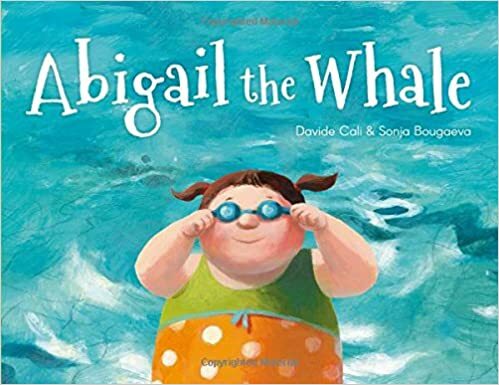 After a great discussion with her swim teacher (Words of the Wiser), Abigail realizes that she should not care what others say. 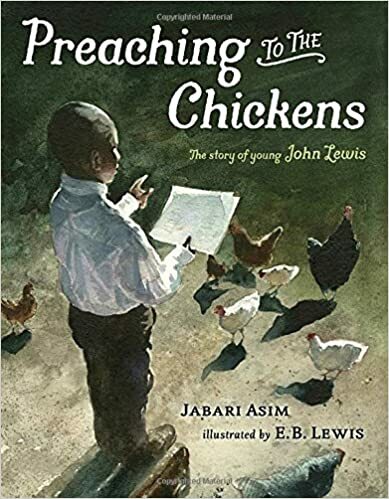 Preaching to the Chickens by Jabari Asim and illustrated by E.B. Lewis shares all of the Aha moments and realizations that John Lewis had as a young child. 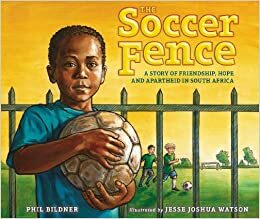 The Soccer Fence by Phil Bildner and illustrated by Jesse Joshua Watson not only serves as a wonderful mentor text for Aha moments , but also an an important historical reminder for us all. 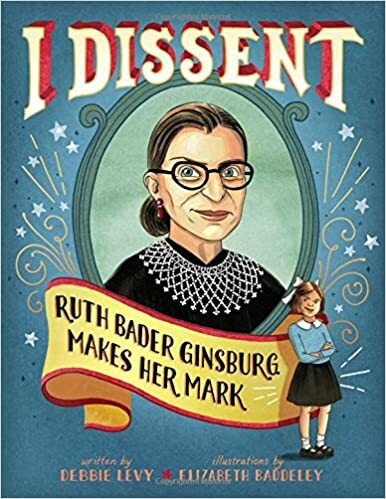 I Dissent – Ruth Bader Ginsburg Makes Her Mark written by Debbie Levy and illustrated by Elizabeth Baddeley is a phenomenal informational picture books that really show how having an aha moment truly shapes RBG’s life. I love this picture book for many reasons and this is just one of them. 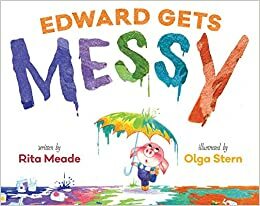 Edward Gets Messy written by Rita Meade and illustrated by Olga Stern has a wonderful tale of a pig that thinks his life needs t be a certain way but then realizes that it is okay to get a little messy. This picture book could also be used for Contrast & Contradictions. 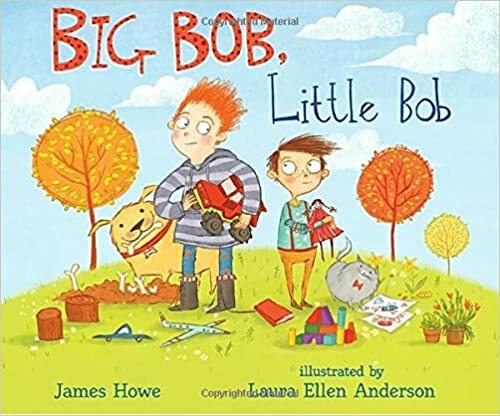 Big Bob, Little Bob written by James Howe and illustrated by Laura Ellen Anderson has a pretty awesome Aha moment toward the end that leads into a perfect conversation about the theme of acceptance and appreciating our uniqueness. What do you do when you find money that doesn’t belong to you but you really want a new book? 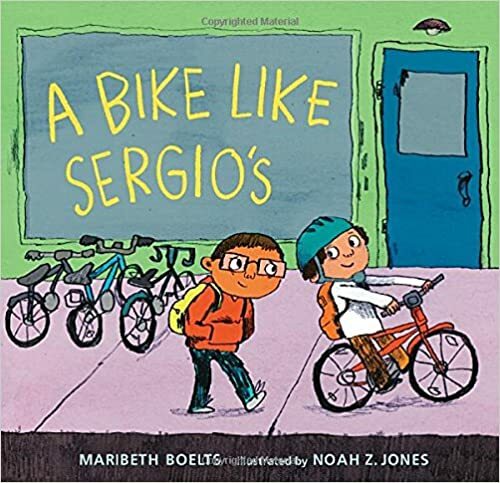 A Bike Like Sergio’s by Maribeth Boelts and illustrated by Noah Z. Jones not only has an Aha moment, but will also lead to a great discussion between doing what is right or wrong. 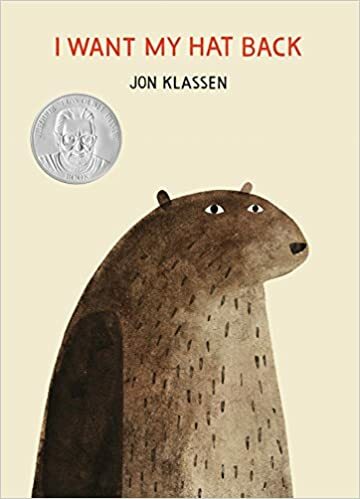 There is no way to go wrong with using Jon Klassen books. I love all three of his hat trilogy book because not only do they all contain Aha moments, but they are also crowdpleaser. The Aha moment in I Want My Hat Back is a conflict aha moment and I love the discussion that naturally occurs when the students just have to discuss whatever happened to that rabbit. 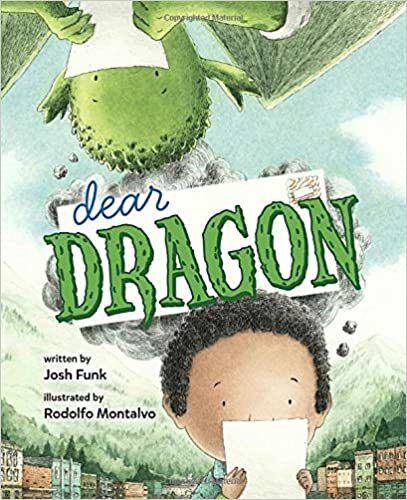 Dear Dragon written by josh Funk and illustrated by Rodolfo Montalvo is a must add to any classroom library. 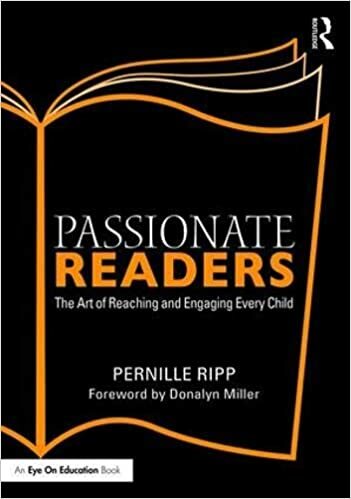 The Aha moment is one that students can relate to and I love the theme of the book so much; yes we can be friends with people who lead vastly different lives than us. 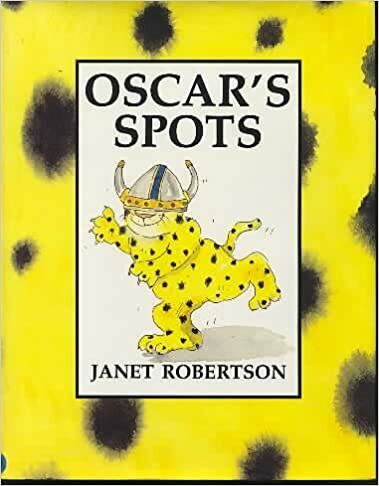 While Oscar’s Spots by Janet Robertson is more than 20 years old, I still love the copy we have in our classroom. Oscar has a pretty big moment when he realizes that maybe he doesn’t want to get rid of his spots after all. 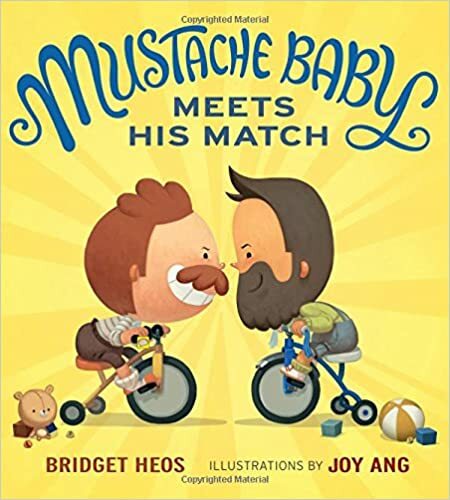 We are huge fans of Mustache Baby by Bridget Heos, and so I am thrilled that I can use its sequel Mustache Baby Meets His Match to teach Aha moments. I love how Billy changes his tune late in the book. 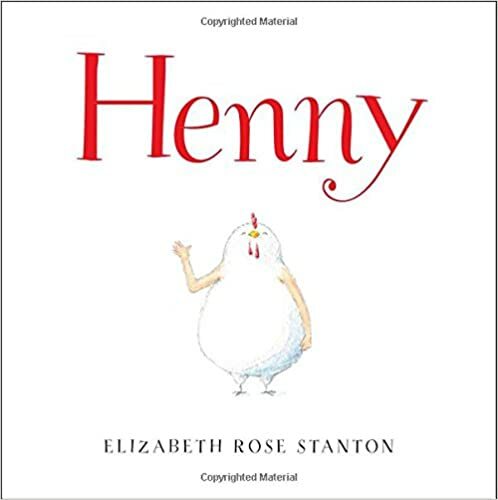 Henny by Elizabeth Rose Stanton is a quirky book and yet the aha moment cannot be denied when Henny realizes that maybe having arms is not such a bad thing after all. My students are always puzzled when they first encounter this book but then end up liking it. I am pretty sure I can teach all of the Notice and Note signposts with the help of Peter H. Reynolds. 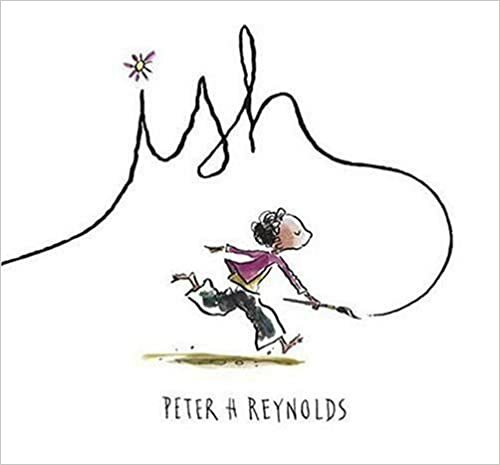 His beautiful book Ish is a fantastic example of aha moment and will probably be the one that I use when I teach the strategy to the class. It’s a good day when Peter’s books are read aloud. While there is no specific aha moment in What Do You Do With An Idea? 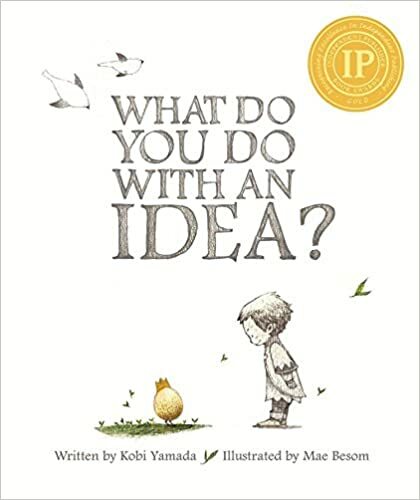 by Kobi Yamada, I feel like the whole book is an aha moment. I am looking forward to the discussion that will happen around this book. 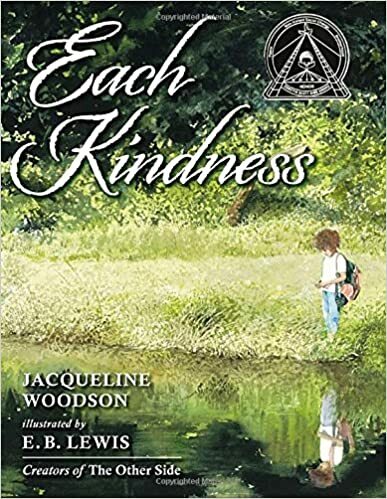 Each Kindness by Jacqueline Woodson is one of those picture books you can use for so many things; memoir, aha moment, words of the wiser, teaching empathy and such. I have used this book for so many things that it only seems natural to discuss the aha moment that Chloe has. 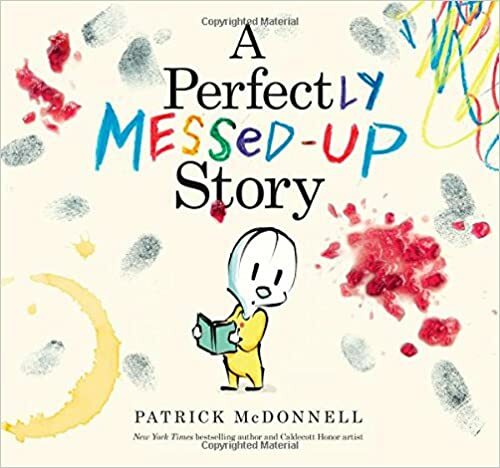 A Perfectly Messed Up Story by Patrick McDonnell is one of many amazing picture books from this author. I love the simple aha moment of realizing that it can be good enough even if it is not perfect. This is a great read for many of our students who push toward perfect every time to the detriment of their own sanity. 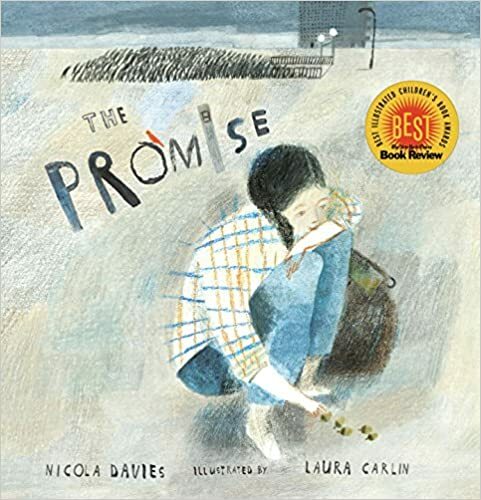 The Promise by Nicola Davies is a story meant to be discussed. I love it for its beautiful illustration, for its message, and also for its use as a mentor text. The aha moment is one that I hope students will remember and apply in their own life. 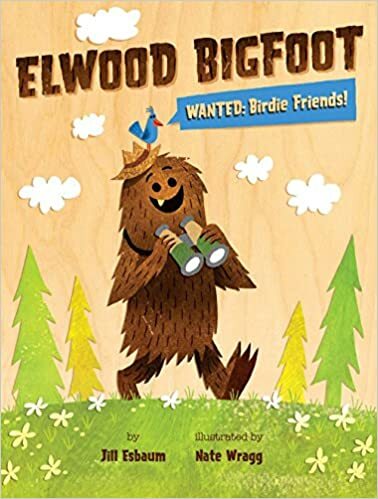 Elwood Bigfoot: Wanted Birdie Friends by Jill Esbaum is not only a great book to discuss friendship and how we must stay true to ourselves, but is great for aha moments as well. Elwood has a pretty big one and hopefully so will our students. 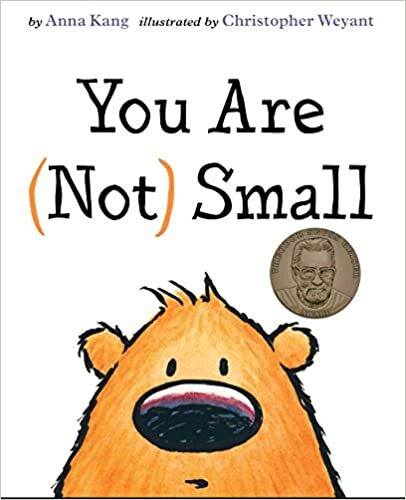 You Are (Not) Small by Anna Kang is a great book for those who really need direct aha moments to relate to. 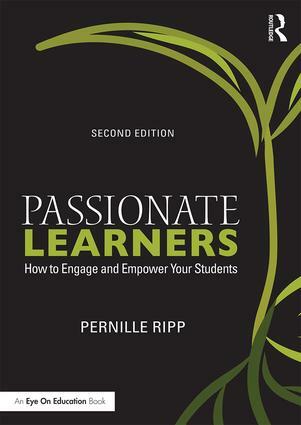 This one is pretty straight forward and will be a great book to have students explore by themselves as well. I am sure there are more out there, please make sure you share. I Don’t Want to Be a Frog by Dev Petty has a straightforward aha moment as well. Love the list. We are currently working on partner book clubs with picture books so I will add these to the choices Monday AM. I am, and I did buy the book because I like to write ideas in it. I figured it was an investment worth making. Just did Aha Moment last week with My Teacher is a Monster (No I Am Not)! I love What Do You Do with an Idea? ! It’s magical all the way through and can transform the mind and way of thinking as it’s being read. Wonderful book. The art is gorgeous. Having trouble here. What’s the aha moment in Soccer Fence? Thanks! Wolves by Emily Gravett has a great aha moment and pairs nicely with Jon Klassen’s I Want My Hat Back. I hope that you reconsider your use of Abigail the Whale in your classroom discussions. Although the idea of the book is meant to be empowering, I think it reinforces the body-shaming it is attempting to dismantle. The cover art makes the association between a larger child and a whale with no alternative explanation and worse yet, it never addresses the bullying in the story instead giving it a tacit acceptance that people are going to say terrible things and our job is just to imagine that they mean something else. It is like saying that the bullies aren’t going to change, so we need to do something extra amazing to get them to see our value and worth. How is that a good message for kids?? Also, the same kids who ridiculed her are just as unlikely to immediately stop and cheer her on as they are to feel any guilt/remorse for the way they treated her without any adult discussions, which makes the ending another problem with the book. This is not an empowering story and it is a highly problematic text to share with kids.